British Airways is a full service global airline, with an extensive global route network flying to and from centrally-located airports. The British Airways range of travel classes offers something for every taste and budget. No matter how you choose to travel with British Airways, they aim to make your journey more enjoyable and special. 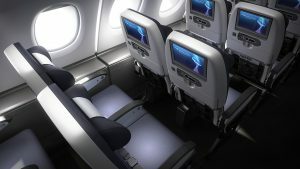 World Traveller is British Airways economy class on worldwide flights beyond Europe, packed with all the comfort and benefits you expect from British Airways. 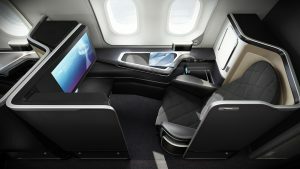 British Airways entertainment has hundreds of the latest films, documentaries, television, music, audio books and games. The World Traveller experience also includes a comfy cushion and blanket, flight socks, an eye mask, toothbrush and toothpaste on request. 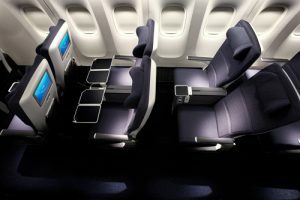 World Traveller Plus is is British Airways Premium Economy seats offering more privacy, space and comfort in a smaller, secluded cabin. Club World is British Airways Business Class. 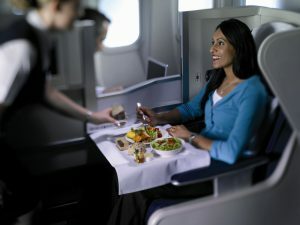 You will travel in comfort and style with British Airways range of business class services, offering lounge access, delicious meals and drinks, extra space to work or relax, and flat beds on longhaul flights. A spacious seat, which converts into a fully flat bed. Delicious food and drink options using fresh, local ingredients. Access to private lounges and luxurious spa treatments. Dedicated check-in desks and priority boarding. In British Airways First Class you can experience a dedicated service, exceptional comfort and understated British elegance in every stage of your journey, from the moment you book to your final destination. From luxurious lounges to on-board fine dining, we make sure everything meets our meticulous standards.